Music Kpop | Z-Pop Dream Live in Seoul revealed some of the members of their upcoming project idol groups. ‘Z-POP DREAM LIVE IN SEOUL’ (Zip Pop Dream) ‘Z-POP DREAM’ Project Girls Z-GIRLS done. On the 17th, ‘Z-POP DREAM’ will be held on the official SNS channel through the Z-GIRLS members BELL, CARLYN, JOANNE, PRIYANKA, QUEEN and VANYA Profile images are publicly showing interest. Z-GIRLS in the public image shows individual charm with different gestures and expressions as well as showcasing individuality and raises expectations for full-scale activities. Z-GIRLS, like Z-BOYS, which was released earlier, is also made up of members from seven countries in Asia, while one unofficial will be revealed later on. The Z-BOYS in the public image captures the viewer’s attention with their dark eyes and intense eyes when they reveal the chic in black costumes. Especially Z-BOYS, is made up of members from all over the world gathering in seven Asian countries, raising expectations for one who is not yet open. 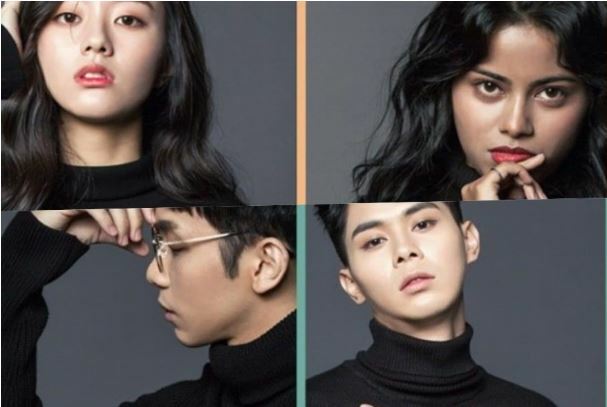 ‘Z-POP DREAM’ has received a lot of support and attention from many K-POP (K-pop) stars including Park Hae Jin, Shin Hyun-joon, Delay and Momorando. Z-POP DREAM, a new form of POP culture that will show various countries’ infrastructure convergence, will become a new culture icon of Z generation. ‘Z-POP DREAM’ is a new type of POP culture that will show various country-specific infrastructure convergence. Zenith Media Contents (CEO Kang Joon) said, “We are going to develop and create a concert brand with one Asia, starting with ‘Z-POP DREAM’. The Z-POP DREAM will be a venue for exchanging cultural contents between Asia and the rest of the world. “Z-POP DREAM” will be used as a place to promote Z-POP stars formed as K-POP stars and Asian associations “He said. Z-BOYS and Z-GIRLS, which are releasing various contents sequentially, are preparing to debut now.